We at CatSynth are happy to be hosting Carnival of the Cats #275 as we celebrate both Father’s Day and the Summer Solstice. And what better way to celebrate that outside with family? Our patio is looking a little “spare” compared to last year before the construction. We have not had enough time to really work on it, but that doesn’t stop us from enjoying an afternoon outside. And with that, let is continue with the carnival. Freya’s dad is celebrating both Father’s Day and his birthday today, so go pay Freya and her a dad a visit at her new blog. You can also see a video of her being quite vocal in a mirror. Sad news from Blog d’Elisson. 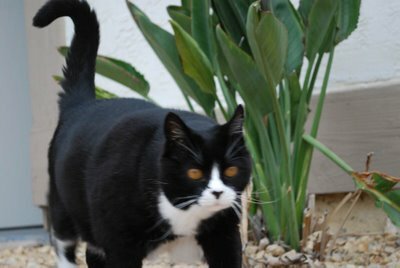 Neighbor, the Mistress of Sarcasm’s Animal Companion, passed away peacefully in her sleep sometime early Saturday morning. 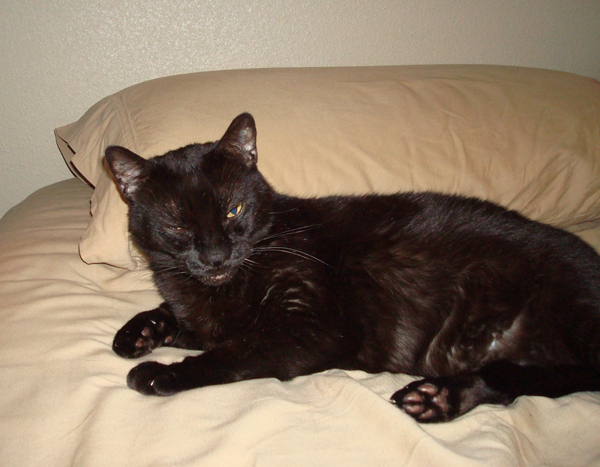 We enjoyed reading about and seeing photos of the sleek black Neighbor Cat, and she will be missed. We at CatSynth send our sympathies. There is a new arrival at the home of “Her Ladyship” at Elms in the Yard. Please welcome Catschka the kitten. 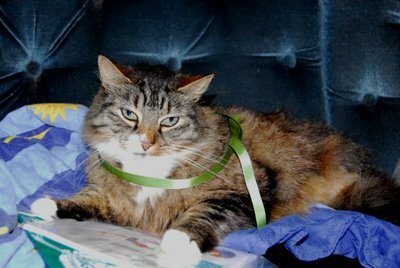 Additionally, Rahel shares with us one of the best how-to sites for cats. Maybe they could use some tips about raising a new kitten, courtesy of Strictly Anything. 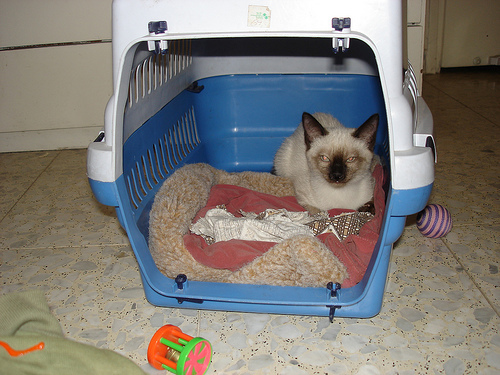 The cats at Grace and the Kittens are celebrating International Cat Box Day 2009. 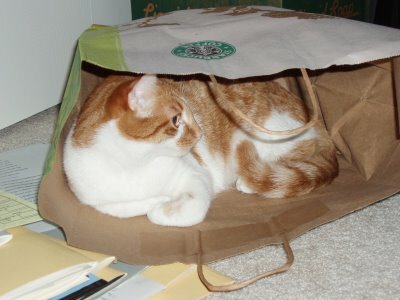 Ruse curls up inside a paper bag, which is sort of like a box, right? 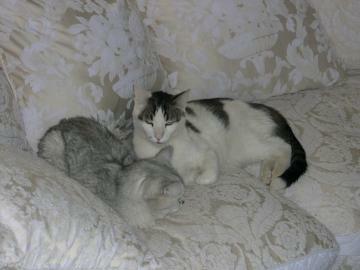 No special occasions, and no boxes, just a very sweet photo with a couple of cats on a sofa from Mind of Mog. At The Poor Mouth, Robyn and Bebe wear green in support of opposition protests in Iran. 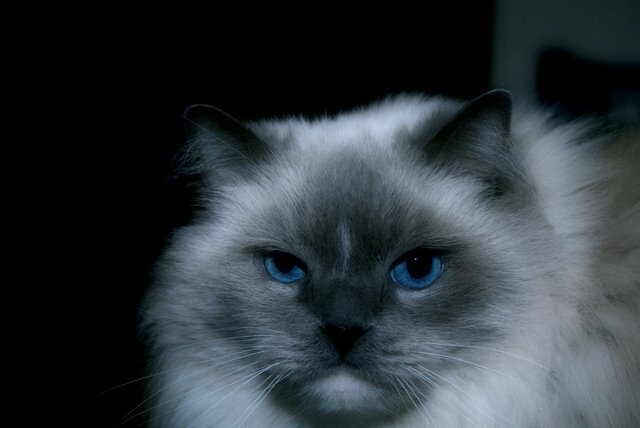 We at CatSynth have been following the events in Iran unfold as well, and hope for the best for the people there. Those who read or write blogs about cats at some point confront the question of anthropomorphism. Pet Chatter asks “What’s wrong with anthropomorphizing?” and discusses animals as sentient beings. The ragdolls return at Mélange, where we meet the regal siblings Nick and Willow. As they approach their 11th birthday, it seems like many things about them and their home stay the same. Catblogging has been a neglected activity at Texas Oasis. But there are no excuses for Purrsday night, and Jax is here to make sure of it. A K T’s Scratching Post, the Maximum Leader goes on an expedition into the forbidden zone while they attempt to make a safe outdoor space in the backyard. Hopefully they can make the backyard in to a safe, protected area to enjoy the outdoors. Aloysius poses with a filter (presumably full of his fur) at Catymology. 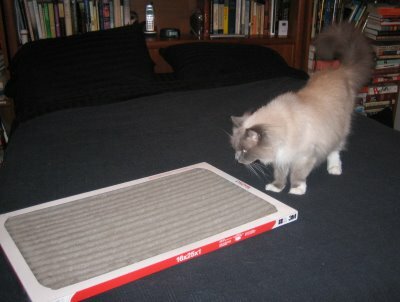 They sent the photo to the 3M company, maker of the filters, who promised to send a coupon for a free replacement. Aloysius also hopes to get a gig as a spokekitty out of the deal. Hemi enjoys his blanket and a little catnip while lamenting some of the mean attributes people ascribe to cats like “sneaky, mean and unaffectionate.” We suspect most of our readers of course know that cats can be very affectionate creatures, but very particular about whom they share their affections with. And since when is “sneaky” a bad thing? It sounds like they are also getting a new addition to the family soon. 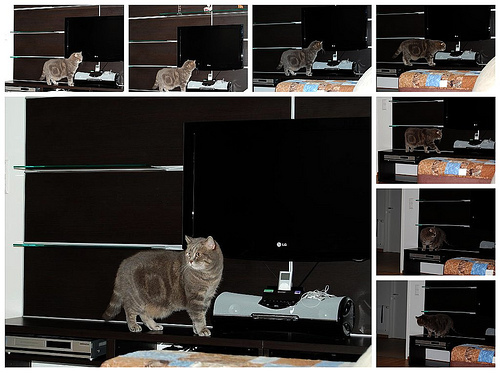 So what are the Three Tabby Cats in Vienna up to this weekend? Kashim holds down the fort for Weekend Cat Blogging and supervises the installation of a new flat-screen TV, while his brother Othello celebrates his first anniversary. 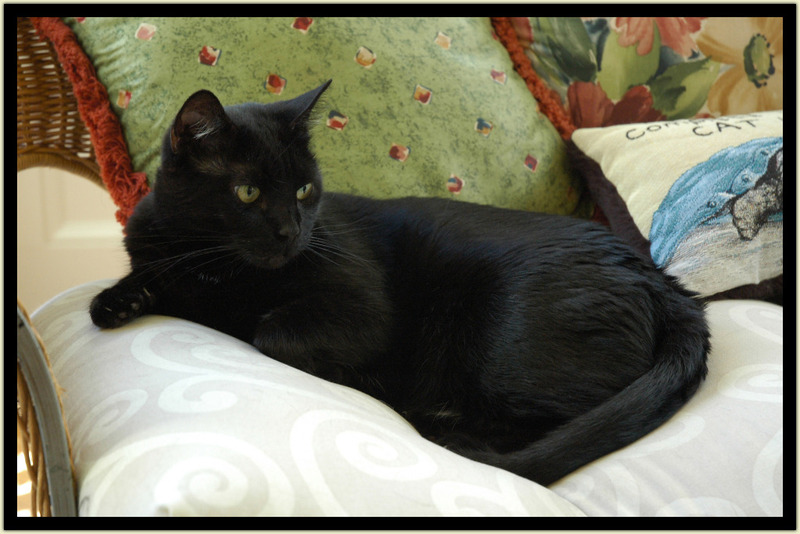 Veronica B shares tips for caring for cats with cancer. Cancer is always a sad thing, but here are some suggestions for treatment and improving a cat’s quality of life. More medical advice from Raising Whiskers about cat coughing: “Sometimes cat coughing can be an indication that there is something wrong with your cat.” Thanks Captain Obvious! That concludes the Carnival for now. Thanks to all who participated! And for those who haven’t had a chance to read it yet, please visit our report on the Cats of Tokyo.